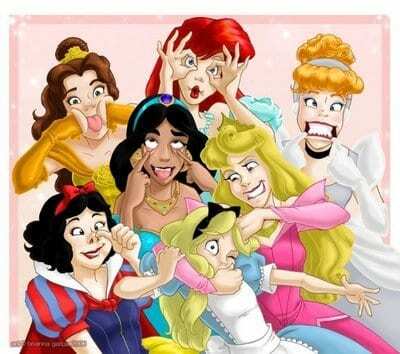 57 Things You Never Knew About Disney Princesses! Here are some fun facts about your favorite Disney Princesses that you may or may not have known, courtesy of BuzzFeed! Enjoy! 1. The current official lineup of Disney Princesses includes Jasmine, Ariel, Rapunzel, Tiana, Belle, Merida, Cinderella, Pocahontas, Aurora, Mulan, and Snow White. 2. Snow White is supposed to be 14 years old. She remains the youngest Disney Princess. 3. Belle is the only Disney Princess to have hazel eyes. 5. Mulan is also the first Disney Princess to not actually be a princess. All the others are either royal by birth, or marry into royalty. 6. Cinderella was originally intended by Disney to be produced as one of the Silly Symphony series. 7. Ariel is the only Disney Princess who was not born a human. 9. Tiana is the only Disney Princess with dimples. 10. Both Mulan and Tiana are left-handed. 11. Mulan and Jasmine’s singing voices are performed by the same person, Lea Salonga. 12. Snow White is the only Disney Princess to receive a star on the Hollywood Walk of Fame. This happened in 1987. 13. Walt Disney once told Ilene Woods (the voice of Cinderella), that Cinderella was his favorite heroine. 14. Belle is supposed to be 17. 15. Ariel translates to “lion of God” in Hebrew. 16. Rapunzel’s eyes are the biggest compared to her Disney Princess counterparts. 17. Frozen’s Anna and Elsa are expected to join the lineup as official Disney Princesses this year. 18. Many of Ariel’s quirks and mannerisms came out of improvisation from her live-action model. 19. Pocahontas actually isn’t the first Native American Disney Princess. It’s actually Princess Tiger Lily in Peter Pan (but, clearly, Tiger Lily is not an official Disney Princess). 20. Jasmine’s character is based on the princess from an Arabic folktale called One Thousand and One Nights. 21. Rapunzel and Snow White are both from Bavaria. 22. Princess Aurora is the first Disney Princess to have violet eyes. 23. Walt Disney has said that the transformation scene in Cinderella — where Cinderella’s dress goes from rags to a ball gown — was one of his favorite pieces of animation. 24. A Disney intern who was still in school ended up providing some of the inspiration for Tiana. Inspiration also came from Anika Noni Rose, the voice of Tiana. 25. Kristin Chenoweth was originally cast as the voice of Rapunzel, but she dropped out. Reese Witherspoon was then cast, who also dropped out. (Jeez.) The role eventually went to Mandy Moore. 27. Cinderella is supposed to be 19. 28. Princess Aurora had only 18 minutes of screen time and 18 lines of dialogue in the film, making her the most quiet Disney Princess. 29. After auditioning more than 150 girls for the voice of Snow White, the part serendipitously went to 20-year-old Adriana Caselotti, whose father, a singing coach, was helping Disney find a fit. Adriana overheard her father’s phone conversation and began talking in the background to prove she had the right voice. She got the part. 30. Belle and Ariel share the same live-action reference model, Sherri Stoner. 31. Pocahontas is the only Disney Princess with a tattoo. 32. Jasmine actually helped influence the design of Aladdin. Earlier sketches showed him seeming much younger. But once Jasmine was designed, animators thought she wouldn’t go for someone who looked like a scruffy kid. 33. When Disney first announced The Princess and the Frog, the principal character was named Madeline or Maddy for short. This upset critics, who called it a “slave name.” Disney then changed it to Tiana. 34. Merida is the only princess with brothers. WHAT? 35. In earlier drafts of the film, Cinderella has a pet turtle named Clarissa. 36. Mary Pickford and Betty Boop helped inspire Snow White’s look. 37. Disney shot the entirety of Cinderella in live-action, using it as a guide for animation. 38. One thing Belle shares in common with Sleeping Beauty: Belle’s dance with the Beast was created from the same cells as Aurora’s dance with the Prince. Apparently, the animators were running out of time. 40. Merida is the only Disney Princess with a non-American accent. 41. When Snow White’s Scary Adventures opened at Disneyland in 1955, it didn’t feature Snow White anywhere in the ride; riders were supposed to experience the ride as her. This proved confusing and she was added in an overhaul in 1983. 42. Ilene Woods, a radio singer and personality, didn’t actually know she was auditioning for the role. She recorded a couple songs for the film as demos, as a favor to the songwriters with whom she was friends. When Walt heard the recordings, he chose her over the 400 other girls who had auditioned for the role. 43. Beauty and the Beast screenwriter Linda Woolverton wrote an important character detail into the script: Belle’s “little wisp of hair that keeps falling in her face” — this showed that Belle wasn’t perfect. 44. Why is Ariel a redhead? For starters, Splash had just come out, featuring Daryl Hannah as a blonde mermaid — Disney wanted to be different from this image. Second, it was easier and more pleasing to make darker shades of red (rather than darker yellows) when Ariel was in dark or shaded places. 45. Jasmine is the second-youngest princess. She’s 15, one year older than Snow White. 46. Disney’s Pocahontas is 18 in the film. In real life, Pocahontas met John Smith at a much younger age. By aging her, Roy Disney said that it made a more dramatic telling of the story. 47. Glen Keane, the creator of Rapunzel, drew inspiration for the character from his daughter, who, as a girl, always wanted to paint her bedroom walls. By the time Keane started on Rapunzel, his daughter had become an accomplished painter and he hired her to create the look of Rapunzel’s room. 48. Belle, the first Disney Princess with more character depth, was partly inspired by Katharine Hepburn’s portrayal of Jo in the 1933 film version of Little Women. 49. Disney used Alyssa Milano’s face as part of the inspiration for Ariel’s look. 50. In 2012 and 2013, the Disney Princesses were redesigned. 51. Mulan’s redesign caused a significant upset because she appeared to have her skin lightened. Similar claims were made for Pocahontas and Jasmine. 53. Tiana’s redesign was extremely minimal. Illustrators added two new strands of curls, and a print of reeds went onto her dress. 54. Belle’s physical appearance was inspired by Judy Garland in The Wizard of Oz, and Julie Andrews in The Sound of Music. 55. Mulan and Merida are the only two Disney Princesses trained in archery. 56. Ariel makes a cameo in Peter Pan’s Flight in Disneyland. 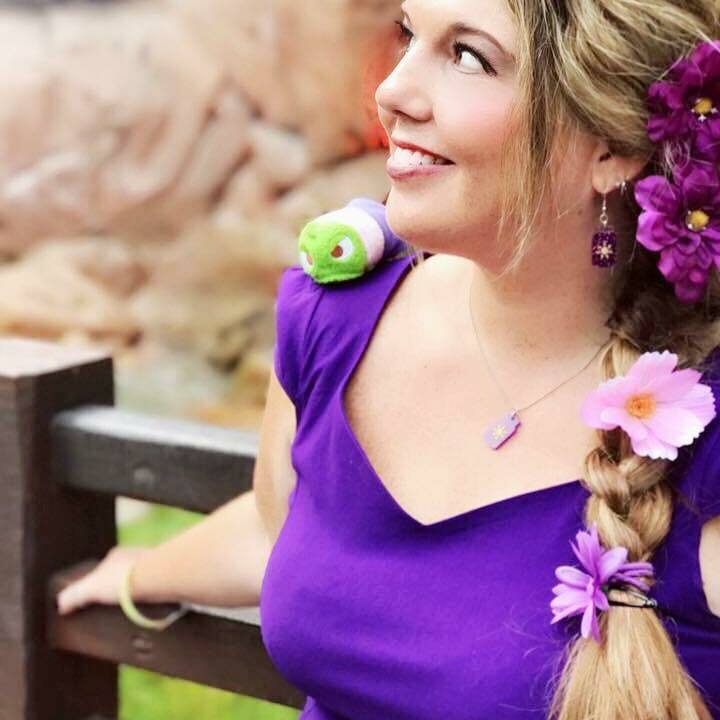 She can be seen hanging out in the mermaid lagoon. 57. Belle is the only person in her town to be seen wearing blue, symbolizing her position as an outsider. Later, you see the Beast wearing blue as well.